How To Delete WhatsApp Messages For Everyone? By systemdigits.com Technology Comments Off on How To Delete WhatsApp Messages For Everyone? Sooner or later, WhatsApp had to allow users to undo their wrongdoings and delete their WhatsApp messages. Becuase accidents can happen anytime. We have heard stories of drunk employees accidentally messaging their boss. Until now, it has been possible to delete messages on your side of the conversation. But WhatsApp users can now delete the recipient’s copy of the message. This will give people some window if they realize they have sent the message where it wasn’t meant to be. You can take advantage of the new “Delete for Everyone” in an individual chat or a group to un-send or revoke a Whatsapp message. 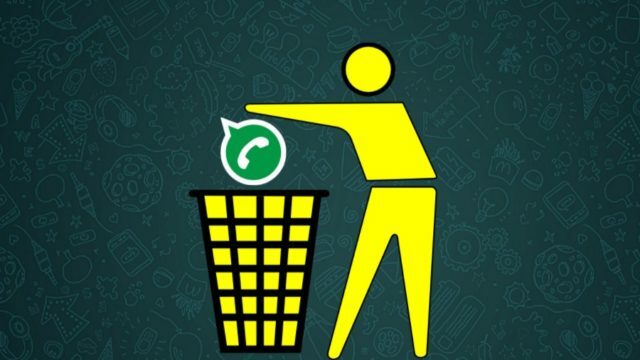 How to delete WhatsApp messages? Keep in mind, you only have 7 minutes to delete a WhatsApp message that has been sent to a person or a group. Also, both the sender and the recipient must be running the latest version of WhatsApp for Android or iOS. Open the chat where you want to delete the Whatsapp message. Tap and hold the message to show further options. Tap the Delete icon on the top. 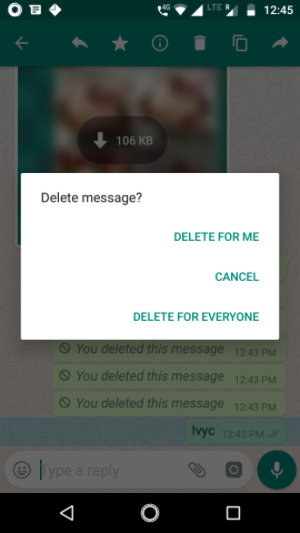 Now, to delete the WhatsApp message on both sides, tap “Delete for Everyone“. After the WhatsApp message has been successfully removed, a text, “You deleted this message”, will appear in its place. The text “This message was deleted” will appear on the recipient’s side. There might be a chance the message deletion process doesn’t yield positive results. WhatsApp will notify you in that case. Also, if you want to delete the message only for yourself, follow the steps as they are and tap “Delete for Me”. How To Free Up Disk Space In Windows 10 Using OneDrive Files On-Demand?